As a woman, you have a thousand things to worry about in a day, and unwanted facial hair might be one of them. If this describes you, you may find yourself wishing you had a long term solution to your problem, in which case threading is exactly that. 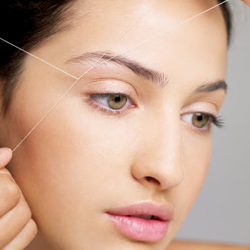 Threading is a process which involves the use of a cotton thread to remove unwanted hairs, one hair at a time. This process has its origins in India, where it was used in ancient times. In the recent past, threading has gained popularity in the Western world, with more women preferring this method to others such as waxing and tweezing. Of course this is the most obvious and common type of threading, and a method which is preferred for its ability to keep your eyebrows in shape for the next six weeks. 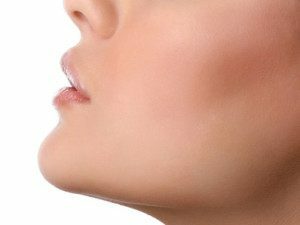 If you’ve always felt self-conscious about the little hairs that sprout on your chin and upper lip, it is time to put your mind at ease and let us remove those hairs. For those stubborn hairs that have refused to vacate your forehead,threading is the way to go. A smooth forehead is a confidence booster and you should not have to feel the need to cover up every time you go out, just because a few hairs decided to grow on your forehead. 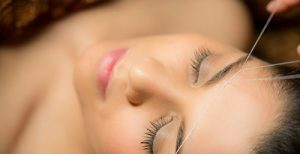 Threading & more Spa will remove all the hairs on your forehead, and leave you with a baby-bottom-smooth kind of feeling. Full face threading is a great way to lay a smooth foundation for make-up and besides this,full face threading opens up your pores leading to an amazing glow. After our full face threading session, you will not have to spend lots of money buying creams to cover up your unwanted hairs. Let our professionals at threading & more beauty spa. align and and make your side burns even and perfectly shaped to your face..
To apply makeup in a perfect and smooth manner, we suggest removing of all cheek hair.Those tiny hairs will be removed by our threading process and reveal your clean beautiful skin with a radiant glow. By threading your neck you will have an even neck line.Bringing out the best in your new hair style. And why should you consider any of the above types of threading? To start with, threading is an extremely sanitary process. The only thing that will touch your skin is the thread, and this is quickly disposed of after the process. Secondly, if you’ve always had problematic brows that don’t seem to get done evenly,whichever method you use, threading is an accurate solution to this problem. Threading is a very fast hair removal method. In about 15-20 mins, you can get your brows done and be ready to leave. As you can see, there should be nothing stopping you from achieving that smooth look that you have always wanted. With just a thread and plenty of experience, threading and more will offer you the perfect look that will leave you looking and feeling beautiful. All you need to do is visit us at Threading and more beauty Spa.